We know firsthand that fighting fraud starts with you – the individual who is committed to the truth, who has the courage to stand for integrity when others seek to profit from corruption. You are a vital part of the team as we work together to expose wrongdoing. You’ll have strong protection. No other law firm in the U.S. boasts a higher concentration of expertise from former U.S. Attorneys and senior U.S. Department of Justice Officials. The Ashcroft Law Firm is your preeminent resource for legal guidance and protection when you decide to report corruption. ⦁ Corporate attorneys with vast, industry-specific knowledge and experience in the structuring and execution of national and international business transactions. Former U.S. Attorney General, Governor and U.S. 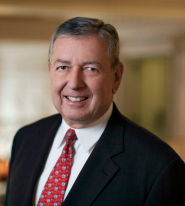 Senator John Ashcroft serves as founder and Chairman of The Ashcroft Group and The Ashcroft Law Firm. Together with the select group of seasoned, respected and experienced senior executives he recruited to join him – many of whom helped to lead the U.S. Department of Justice during a significant time in our nation’s history – the firms have earned a reputation for integrity and a track record for accelerating successful resolutions of even the most complex matters. Read full biography. Mr. Sullivan is a Boston-based partner of the Ashcroft Law Firm, and has extensive experience in whistleblower law and criminal conduct spanning virtually every substantive area of fraud including false claims. Mr. Sullivan has served in government for half his career, first as a state district attorney and then as a federal prosecutor. In 2001, shortly after 9/11, the President of the United States nominated him and the United States Senate confirmed his appointment to serve as United States Attorney for the District of Massachusetts. Sullivan’s office was responsible in investigating virtually every substantive area of fraud, including securities, healthcare, bankruptcy construction, tax, bank, insurance, identity, investment scheme, mortgage assistance and appraisal, and false claims. 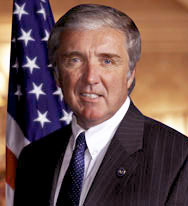 While United States Attorney, Sullivan’s office recovered several billions of dollars on behalf of the taxpayers for fraud committed against government programs, including false claims submitted for payment, illegal off-label marketing of prescription drugs, violations of the anti-kickback statute and the illegal shipment of misbranded or adulterated products. 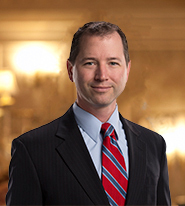 Sullivan was appointed by the United States Attorney General to Chair the Health Care Fraud Sub-Committee on behalf of the Departent of Justice. Read full biography. 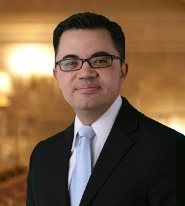 Luis Reyes is a Partner with the Ashcroft Law Firm. Mr. Reyes has held senior positions at the White House and the U.S. Department of Justice. He also served as General Counsel for the Office of the Special Inspector General for Iraq Reconstruction (“SIGIR”) – the independent federal law enforcement agency charged with exposing waste, fraud, and abuse of more than $70 billion in U.S. funds appropriated for reconstruction efforts in Iraq. As the legal principal for investigations and prosecutions, Mr. Reyes played a pivotal role in False Claims Act and the Foreign Corrupt Practices Act cases, among others, returning over $1 billion to the U.S. Government. Read full biography. Chris Peele is an attorney with the Ashcroft Law Firm. He served as an Assistant United States Attorney for the Western District of Texas from 2008 to 2014, prosecuting a variety of cases defrauding various U.S. government agencies and programs. He has worked closely with federal law enforcement agencies including the FBI, DEA, DHS, IRS and others. Mr. Peele also served as Assistant General Counsel to the Special Inspector General for Iraq Reconstruction (SIGIR). Read full biography. 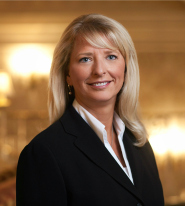 Lori Day is the Managing Partner of the Ashcroft Law Firm, advising clients on a range of corporate governance and general corporate matters, with expertise in government investigations, internal corporate controls, corporate compliance and ethics. Ms. Day formerly served as Deputy Chief of Staff and Legislative Counsel to U.S. Senator John Ashcroft, and also served as an Advisor Attorney to General Ashcroft. Prior to private practice, Ms. Day was Vice President of Government Affairs at the Air Transport Association of America (now Airlines for America), where she led the governmental relations strategies for America’s leading passenger and cargo airlines. Read full biography. Johnny Sutton is a Partner with the Ashcroft Law Firm who served as U.S. Attorney (2001-2009), leading the Western Judicial District of Texas, one of the largest and busiest Offices in the nation. Under his leadership, the government won more than 105 public corruption convictions and sent to prison nearly 400 gang members, mostly Mexican Mafia and Texas Syndicate, for drug, firearm and money-laundering crimes. Mr. Sutton also directed over 43,000 federal prosecutions and thousands of civil cases involving fraud and false claims. Read full biography. 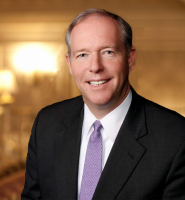 Since 2005, Mr. Lyons has served as a senior advisor to the Ashcroft Group, LLC of Washington, D.C., a strategic consulting firm founded by the former Attorney General of the United States, John Ashcroft. In addition, Mr. Lyons has been the chairman of Lyons Global Insurance Services, LLC since 2009. Since 2003, he has also served as chairman of Lyons Global Advisors Ltd., a political consulting firm. Prior to 2002, Mr. Lyons was Vice-Chairman of Raskas Foods of St. Louis, Missouri. Read full biography. 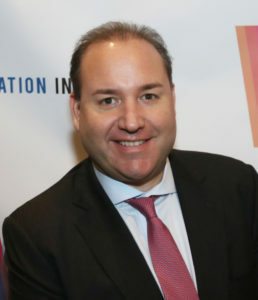 Jack Simony was the lead manager for Hamilton Capital LLC. The fund invested in litigation finance, and arranged complex credit facilities, financed equity investments and acquisitions, and structured multi-party corporate transactions. His career has focused on providing innovative credit solutions to markets that are underserved by traditional sources of financing, in areas including law firm finance, plaintiff commercial litigation finance, consumer finance, and structured finance. Previously, Mr. Simony co-founded and was CEO of Whitehaven Financial, a litigation financing company. He successfully directed Whitehaven to a nationwide enterprise invested in over 10,000 legal claims with capital facilities of over $350 million. Prior to Whitehaven, Mr. Simony co-founded and was CEO of Knightsbridge Equities, a trading firm which provided traders with proprietary software and capital. Read full biography. Call Ashcroft Law Firm for an initial, no-cost consultation today. © 2018 BY ASHCROFT Whistleblower Law. All rights reserved.